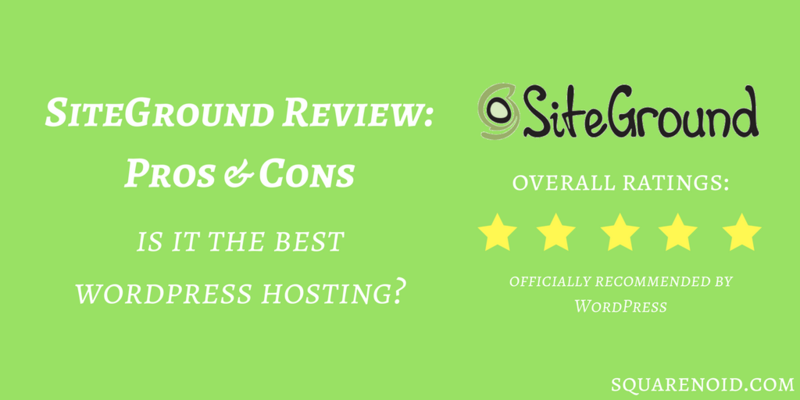 SiteGround Review 2019: Is it Really the Best to host with? SiteGround is a web hosting company founded in 2004 and hosting more than 800,000+ domains worldwide. Siteground is the current favorite, most popular and highly rated web hosting company for the WordPress community. Also, this blog is currently hosted on Siteground. They are officially recommended by WordPress. With fast WordPress hosting, you get 1-click WordPress install, 99.9% uptime guarantee, and what most people love about them is their quick 24/7 support. 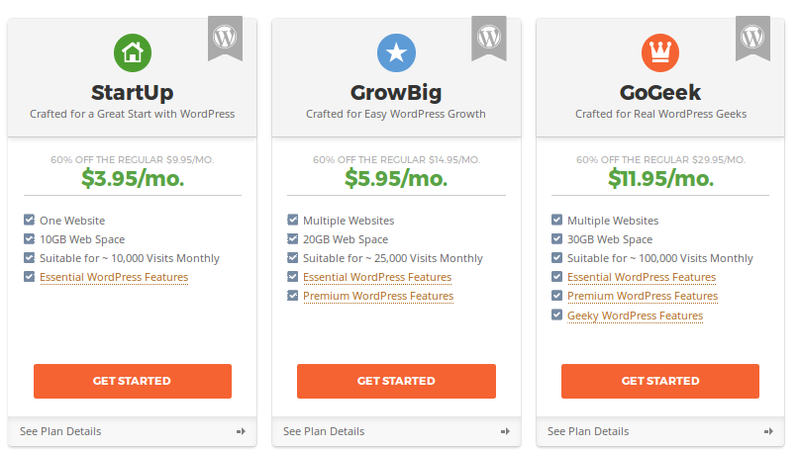 SiteGround is the #1 choice for WordPress Starters. 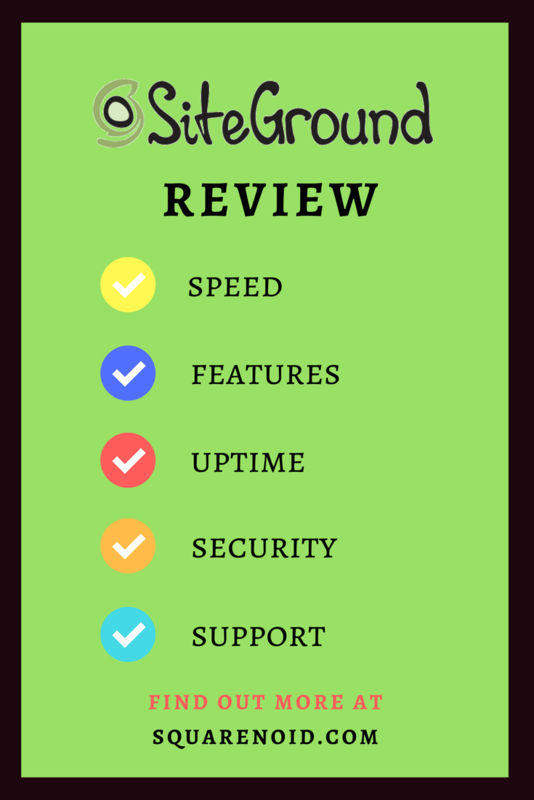 Read this SiteGround Review to know more or click the below button to check their plans and pricing. What do people say about Siteground? Is SiteGround the Right Choice for You? What do people look for in a web host? Choosing the right web host can be a very difficult task especially those trying to go for the cheaper hosting services out there. This is a decision that can make or break your blog and who knows? Your hosting company can either kill your blog or boost it. I wouldn’t want to go for the first option and neither do you. I’ve hosted my blogs on some hosting companies and at present, this blog is hosted on SiteGround. It’s my best experience so far and I want to share it with you. We have shared you the hosting review of Bluehost. No doubt it is one of the best hosting providers across the web and also recommended by the WordPress. WordPress also suggest you other web-host, one of them is SiteGround. Note- We have also transferred our website to SiteGround. Being one of the best hosting company and officially recommended by WordPress (WordPress is the most popular CMS and #1 best blogging platform). SiteGround becomes the #1 choice for those who want to host their website (Especially WordPress). Check out our complete SiteGound review to find out if it is the right choice to host your website. 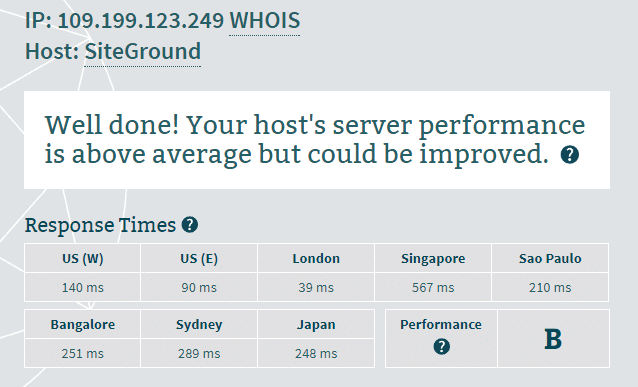 Performance: How is the performance of SiteGround WordPress hosting? This includes Speed Test i.e time taken to load the website, Uptime Stats i.e the time your website will be available online & Server response time i.e how much time the website takes to send the first byte when the user writes your website URL in the browser and hits the “Enter” button. Reliability: How much you can rely on them, will your website be Online 24×7 or will you face downtimes? Customer Support: Can you get support whenever required from their team as a customer? Features: Do you get all the features that are required to build your dream website? Pricing: Is SiteGround hosting affordable? Do they have any offers or deals running that can save you money? Bottom Line: Don’t want to read the whole long review! Let us summarize it for you here. We tested and found SiteGround as the fastest WordPress hosting provider at an affordable price. This is the reason why we use SiteGround to host this Website (Yes! 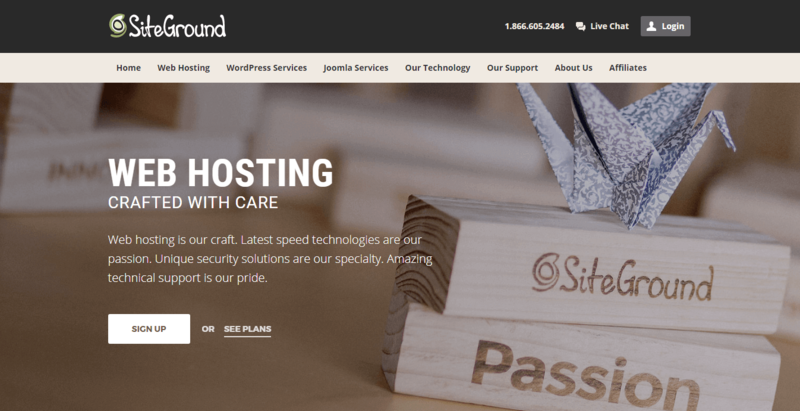 Squarenoid is hosted on SiteGround) and we highly recommend SiteGround as one of the best WordPress hosting service providers. Their customer support is the best in the market. So let’s dive into the SiteGround review so that you can decide to pick it up to host your website with them or not. SiteGround is a web hosting company founded in 2004 and servicing more than 800,000+ domains worldwide. It provides shared hosting, cloud hosting, and dedicated servers. Currently, the company employs over 400 people. SiteGround headquarters are located in Sofia, Bulgaria. SiteGroundworks with open source communities such as Joomla, WordPress, Magento, and others. It provides custom server and application solutions for many open source applications, offers a collection of free tutorials and templates for many applications, and organizes educational webinars on different topics. Every hosting company has some pros and cons, some which you cannot ignore and some of them you can live with it. Below are the Pros & Cons which we found out. At first, let us look at the Pros that makes SiteGround #1 choice. Free Website Transfer: If you have any previous website, SiteGround offers website file transfer service at no extra cost to you. You just need to share the cPanel login details of your previous host and their support team will transfer your website files for free. Money Back Guarantee: SiteGround have a 30-day money back guarantee, you can cancel your account anytime (if you face such consequences) within 30 days and get your money refunded. Pricing: Their pricing is affordable, especially for those who are looking to start a website. Fast Servers: SiteGround servers are very fast and are highly optimized for speed equipped with the latest hardware like SSD drives and some other custom software that speed up your site. Customer Support: SiteGround becomes the #1 choice when it comes to customer support. 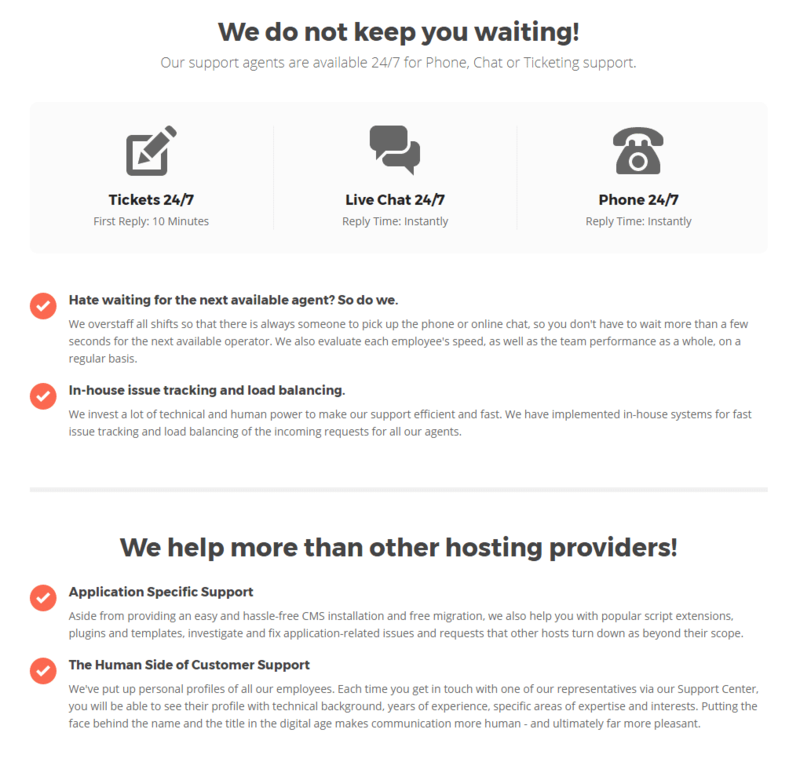 SiteGround provides a 24/7 live chat, ticket based and phone support. 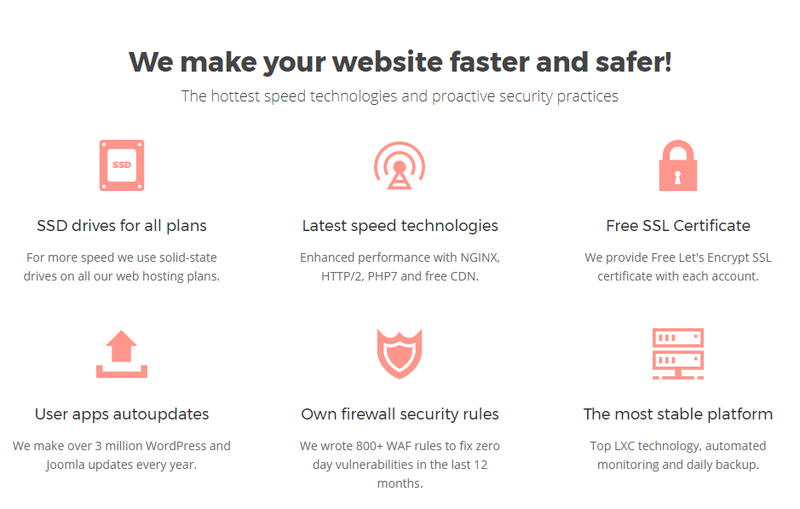 Free SSL and CDN: CloudFlare is integrated on the cPanel and this helps in speeding up your site and making it light by distributing your contents to other servers. It also provides free SSL certificate from Let’s Encrypt. Server Locations: They have servers at different locations, which you can select at the time of sign up. Daily Backup: They provide daily backup for your site so you not need to worry about if something with your website goes wrong. Limited Storage Space: SiteGround plans have limited storage space. Their cheapest plan comes with 10 GB of storage which is enough for those who are just starting out. Setup Fee on Trial: There is a 1-month trial plan, but for that, you need to pay extra $14.95 Setup Fee. But you’ll not need to pay Setup Fee on their yearly plans. That’s what all bloggers are craving for and in case you don’t know, your page load time has a vital role to play. A slow blog can lead to high bounce rate, lesser sales and more. I’ll always say this, Google bots are in a hurry and if your site doesn’t load up in 3-4 seconds, you won’t rank well. Others will rank higher than you and make more money from their blog than yours. No one like a website that takes a long time to show up. 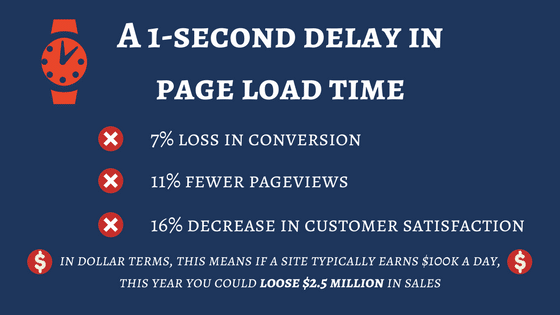 Studies show that 1-second delay of website load time can result in a 7% decrease in conversions. And if your website takes 3 seconds to load then about 40% of people will abandon your site. Keeping this in mind, if you are starting out your website/blog or online store and you are serious about making money online, you should take the speed of the website seriously and optimize your website for the fastest loading times. So, in our SiteGround review, let’s see how SiteGround hosting performance is and how fast will your website load if hosted on SiteGround. Fast web hosting is required in order to load your website quickly. We tested a site hosted on SiteGround WordPress hosting ( StartuUp Plan) with WordPress.org platform Installed with default WordPress theme. Then we used Pingdom to test website speed i.e time taken to load our website. Below are the speed test results of SiteGround. As you can see the speed test results are awesome! Website loaded under 1 second, which is faster than 95% of all tested websites. But by adding more and more content like images videos to the site, the results may look different. Since we have not optimized the website for speed like using caching plugin, you can get even better results. Server response time simply means the time taken to send the first byte when the website is opened. To measure server response time we used a tool called Bitcatcha which measures the server response time without downloading any data. The server response time is also quite impressive. So, with this, the performance tests of SiteGround review ends. Now let’s take a look at SiteGround hosting plans, which features it provides at what price. SiteGround provides different hosting plans for different needs. They have all kind of hosting plans for beginners to business owners. So let’s see what SiteGround has to offer. In the image above you can see the plans offered by the SiteGround for the shared Hosting. If you are new then you can choose the StartUp plan, as it is cheaper than others. If you want your Web Space to be more then you can choose the GoGeek. You can check more about the plans by clicking on the button below. Just click on See Plan Details to know all the differences between these plans. SiteGround have the one-click install feature which is very easy for the users to install the WordPress on their server. They also manage the updates section and auto updates have functions to automatically install the updates in the server. 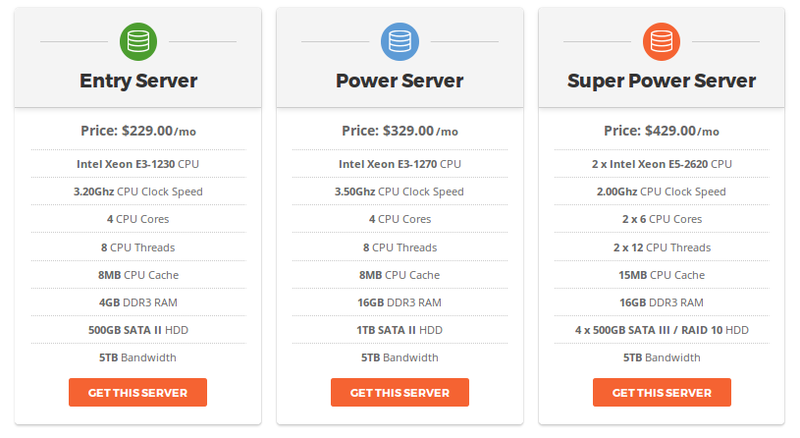 It also has the Supercacher function which enables the server to work faster. 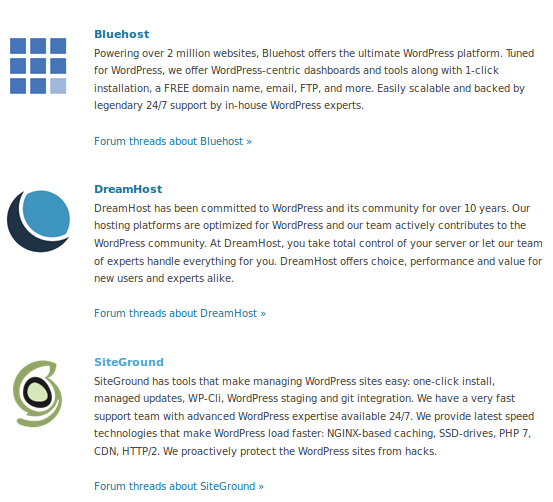 WordPress also recommend SiteGround for their Hosting. You can check WordPress official website to check which hosting providers are being recommended by the WordPress. Here is an image which shows the WordPress recommendation for the website. If you want your website to be more secure and load faster for the users, then you can choose the cloud hosting plans. As they provide the SSDs so the functions will be faster than any normal web server space. You can choose according to your site visitors and data. You should choose the cloud hosting only if your site is growing and you are able to pay the wages. Click on the button below and know more about the Cloud Hosting Plans. You all might know that the dedicated servers are used for the top-notch website which is growing very fast and which requires and a large amount of space and speed. In the dedicated hosting website won’t share with any other websites. Only one website will be installed on one server, where the owner has the full accessibility of the website. If you want to buy or know more about it click on the button below. Reseller Hosting is for those who want to start a web hosting service provider, without setting up their own servers. They can get a Reseller Hosting from SiteGround and provide the web hosting to others with their own Rate. This can be a nice way to earn money. You can get the Reseller Hosting by clicking on the button below. They also claim that their web hosting is faster than most of the other web hosting providers because they provide some extra features. These features are available for all the plans. If you opt for the shared hosting then also these features are activated. So that your site may not lack. They provide one-click install for many site building apps like, WordPress, Joomla, Drupal, Magento, many for eCommerce apps, which becomes easy to manage for the users. There are more hosting plans available like WooCommerce hosting, Joomla hosting, Drupal Hosting, Magento Hosting etc. You can check all of those by visiting their official website. Now let’s see how’s SiteGround Support & Customer Service! Support & customer service is what we all expect from a company whenever we need help. It is really important to pick a web hosting company which offers quality support & technical help whenever required. SiteGround provides a good support for the users. They provide a 24/7 services to resolve your problems. They have the functionality of live chat, where you can consult with the experts and make your decisions. You can also call the team for any help. For WordPress users, they provide the basic tutorials videos. Like how to install a theme or plugin. SiteGround also provides the tutorials for other CMS like Joomla, Drupal, Magento. They have the basic tutorials on a variety of site building apps and have both the written and video version, which becomes a reliable thing for the users. They are always there to help and by the way, they’re also friendly and are ready to answer every tiny little bit of your question in a timely manner. SiteGround is most popular because of their quality support team, and I’ll rank them #1 for support and customer services. If that was not enough SiteGround offers a 30-day money back guarantee. So, overall SiteGround support service is one of the best in the web hosting industry, that’s why they are one of the leading web hosting companies in the world. I contacted SiteGround Support to transfer the files of my website to their SiteGround hosting. 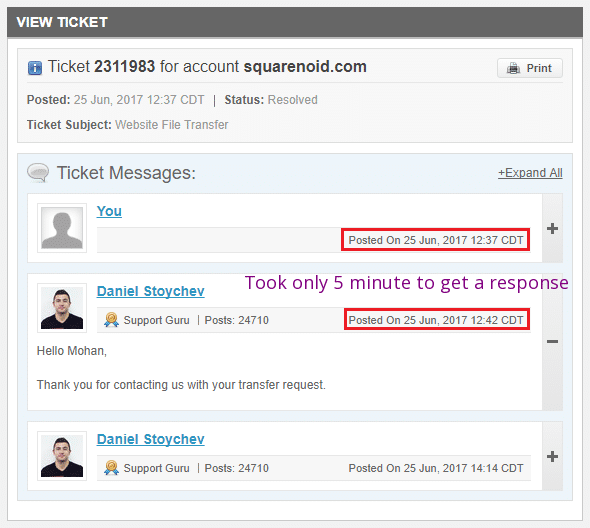 It took 5 minutes to get a reply from the SiteGround Support team and the website file transfer was done within 2 hours. They help more than other hosting providers, do you have any doubt? Check it out for yourself! 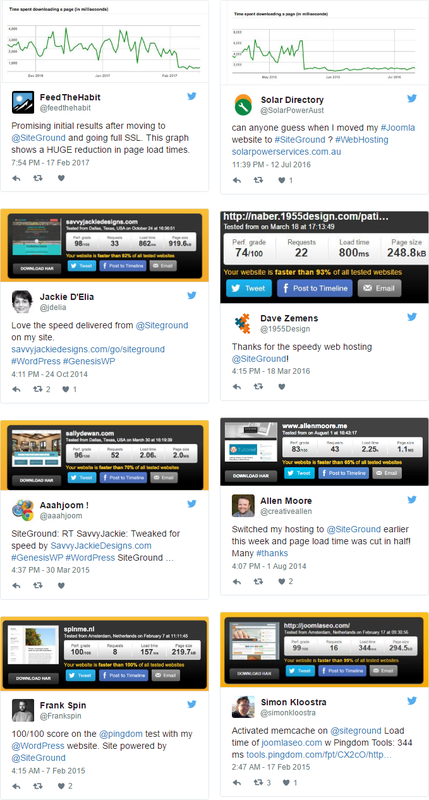 Below are the screenshots from Twitter of what people say about SiteGround. That’s lots of appreciation for SiteGround. Now if you are already on some other slow hosting, it’s time to move to SiteGround. Below are the screenshots from Twitter of people who posted results after migrating to SiteGround. Now, these are just screenshots right, you want to read some real latest client reviews. There is a review section on their website where you’ll find 1000+ real customers sharing their experience, Click here (opens in a new tab) and read some reviews. So I think you’ll definitely want to go with the SiteGround hosting right! The first question to ask yourself! The good news is: SiteGround has all these qualities listed above. I’ve seen some folks on social media complaining about how their host served them, I recommended SiteGround to most of them and I’m sure they’re eager to know how SiteGround has served me, here you go. A little insight on the qualities I mentioned above. I’ve never for once experience any downtime and this is a good sign that you’re on the right web host. Back in the days of my previous host, reminds me of when I do get multiple emails from my readers that my site is down. Well, I haven’t gotten that since I moved and I don’t wish to. Since I moved to SiteGround, I’ve not experienced any hack although I took some precautions and I don’t have to be scared if anybody wears a mask to tamper with my files because I can simply restore my blog from whatever kind of hack it may be. Mind you, this is not a weekly backup, it’s a daily backup. Instead of installing those heavy backup plugins, I can just sit back and relax with my legs crossed while SiteGround does the job for me. SiteGround also has an outstanding constant server monitoring which minimizes downtime as well as hack alert feature which sends out an alert to your email whenever there’s a threat on your blog. Their unique account isolation technology isolates server accounts from each other thereby preventing a single vulnerable account from affecting the whole server. The proactive monitoring system is also a life saver, this checks the server status and resolves issues without any human interference. One thing outstanding about SiteGround, proactive software patching! In case of vulnerability they don’t sit back and wait for a patch to come out but they develop one themselves. Most hosts will wait for a patch to be released by the developer and the time wasted can expose clients to security risks. Want to know how serious SiteGround is concerning your blog’s security? Find out more! With their latest speed technologies, they provide fast hosting solutions so that your website loads within a second. This is the best cPanel dashboard so far, everything has been crafted to be in one place with easy navigations. Want to check it out for yourself? Are you ready to move to SiteGround? Are you fed up of your current host? Hate those high bounce rates? Your blog just got hacked recently? Do you want a fast customer support? DO YOU WANT TO MOVE TO THE BEST WORDPRESS HOSTING SERVICE? 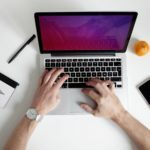 You don’t need to worry about moving your blog yourself because they’ll help in all fields, check out their plans and pricing below. I’m currently on the StartUp Plan and I have no issues with it. Depending on your blog and traffic, you can choose one out of the three plans that best suits you. 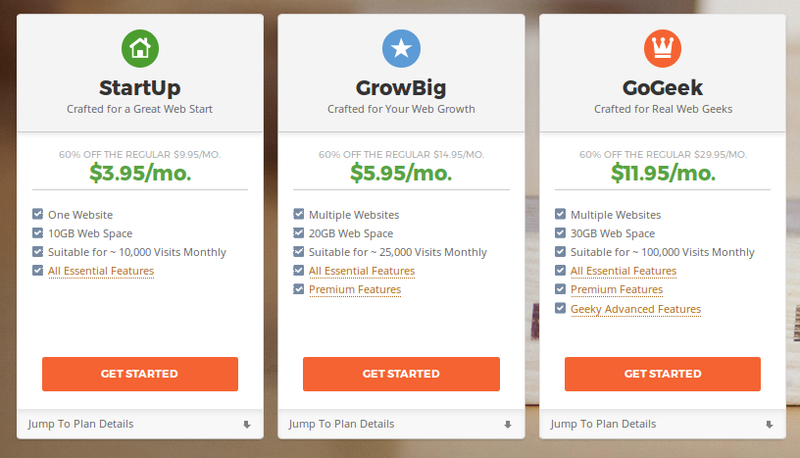 The two other plans are GrowBig and GoGeek, you can check out their pricing. Do you want to get some extra discount while signing up for SiteGround hosting? Squarenoid users will get extra 60% discount on the first invoice with our SiteGround coupon code. So, hurry up and grab the discount by clicking the button below, the discount will be added automatically. Siteground is the current favorite, most popular and highly rated web hosting company for the WordPress community. People are switching from other web hosts to Siteground. Even we switched to Siteground, and this blog is currently hosted on Siteground. They are officially recommended by WordPress. With fast WordPress hosting, you get 1-click WordPress install, 99.9% uptime guarantee, and what most people (almost everyone) love about them is their quick 24/7 support. Your queries will get solved within minutes. In case you need help, they tend to help at their level best (Even offer paid resources for FREE in some sort of emergency like your site going down). So, this is again one of the best web hosting company for fast WordPress Hosting. bookmark your blog and definitely will come back from now on. I want to encourage one to continue your great writing, have a nice evening!